The Active Compliant Parallel Gripper is a cost-effective, flexible gripping solution featuring compliant linked jaws that give a secure high force grip. 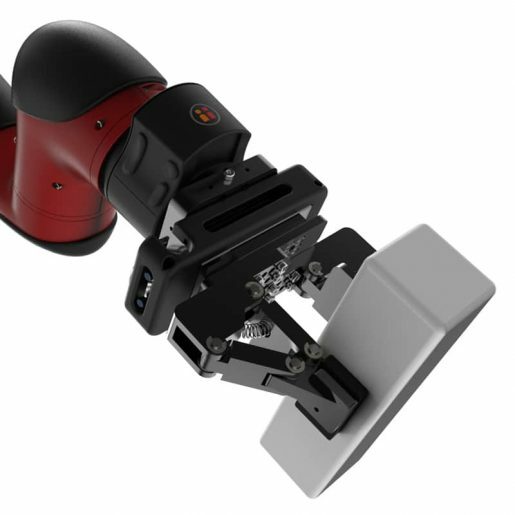 The Active Compliant Parallel Gripper is a cost-effective and flexible gripping solution for a variety of objects. 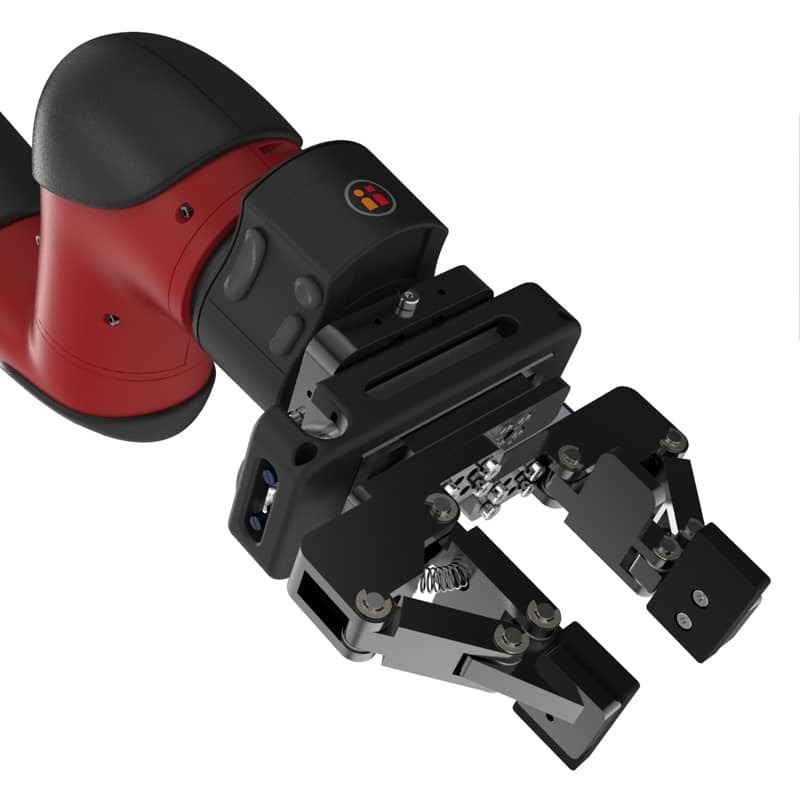 It features compliant linked jaws that give a secure high force grip on a variety of objects. 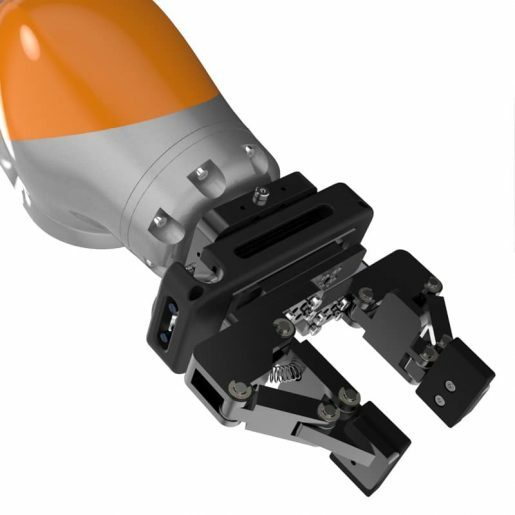 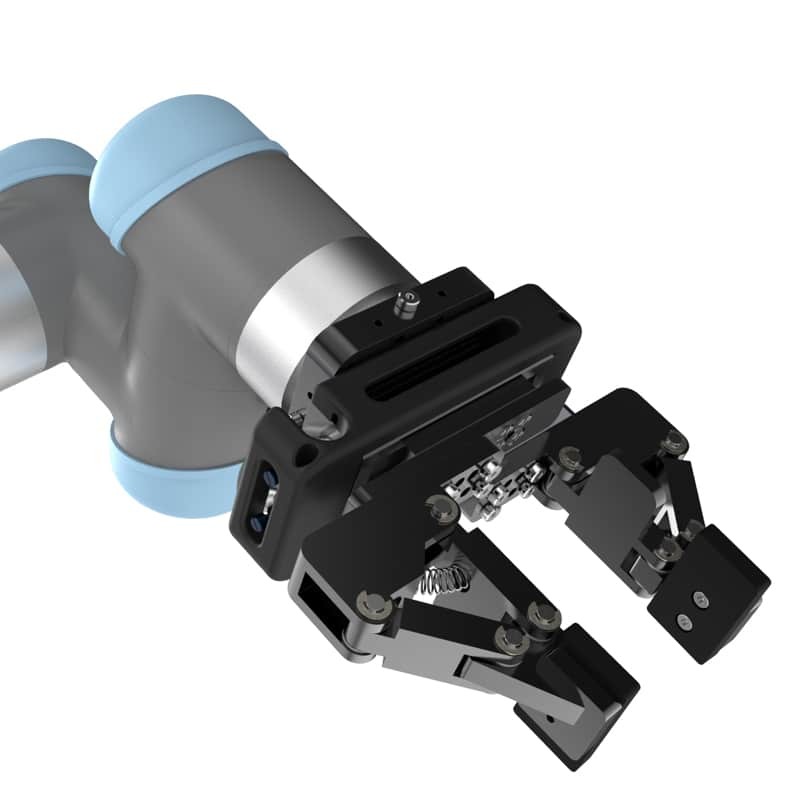 Underactuated gripper fingers offer parallel gripping and also compliant adaptive gripping on cylindrical objects. 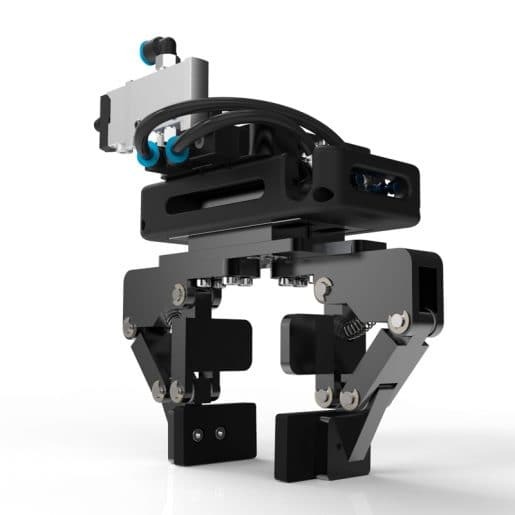 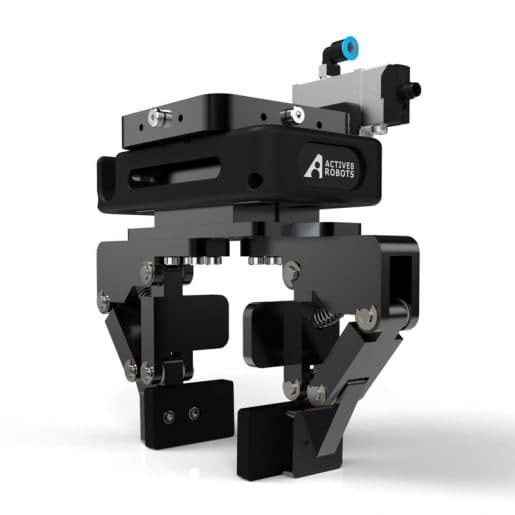 Includes mounting adapters for Rethink Robotics’ Sawyer; Kuka iiwa; Universal Robots UR3, UR5 & UR10; ABB and other Industrial Robots implementing ISO 9409-1-40-4-M6 or ISO 9409-1-50-4-M6 tool flanges.